The largest private obstetrics and gynecology practice in the Mid-Atlantic region has continued its expansion in Maryland through the opening of a new office in Maple Lawn. 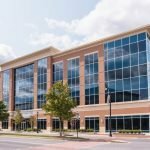 The new lease represents a relocation and expansion of the Capital Women’s Care (Unified Physician Management, LLC) regional headquarters office. Capital Women’s Care employs more than 200 medical professionals throughout more than 55 locations across Maryland, Virginia, and DC. Joe Bradley and Meghan Roy provided tenant representation to Capital Women’s Care in the lease of 15,093 square feet of Class A office space located at 8110 Maple Lawn Boulevard. The group is upgrading from a single-story office space also in Maple Lawn to a larger, more modern and amenity-rich facility designed to improve the onsite experience for their staff. The location is among the most desirable in the ever-expanding Maple Lawn business community located in Fulton, Howard County, Maryland. Mackenzie Companies serves as the exclusive representative of Capital Women’s Care in the Mid-Atlantic region. Rick Williamson of St. John’s Properties represented the landlord in the transaction. For more information on Capital Women’s Care, please visit www.cwcare.net. For leasing inquiries contact Joe Bradley at jbradley@mackenziecommercial.com or 410.494.4892, or Meghan Roy at mroy@mackenziecommercial.com or 410.494.4846.